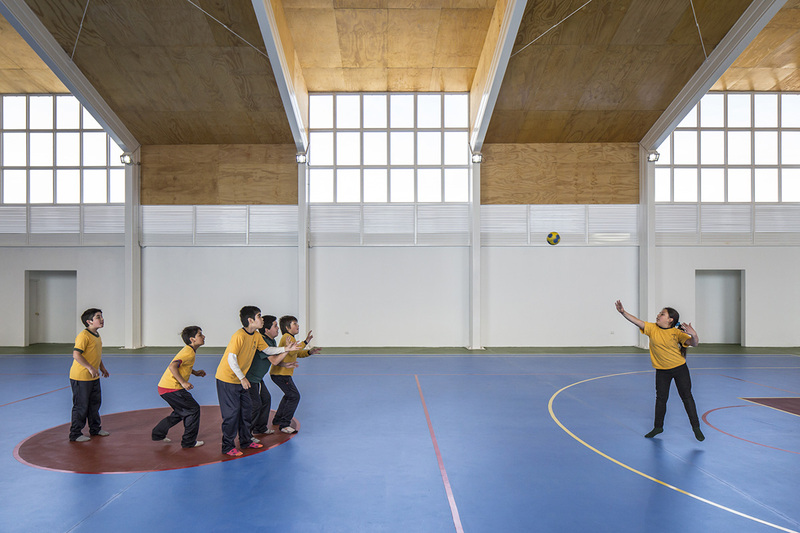 Este proyecto corresponde a la infraestructura deportiva para el colegio Municipal Lonquén, ubicado en la comuna de Calera de Tango. 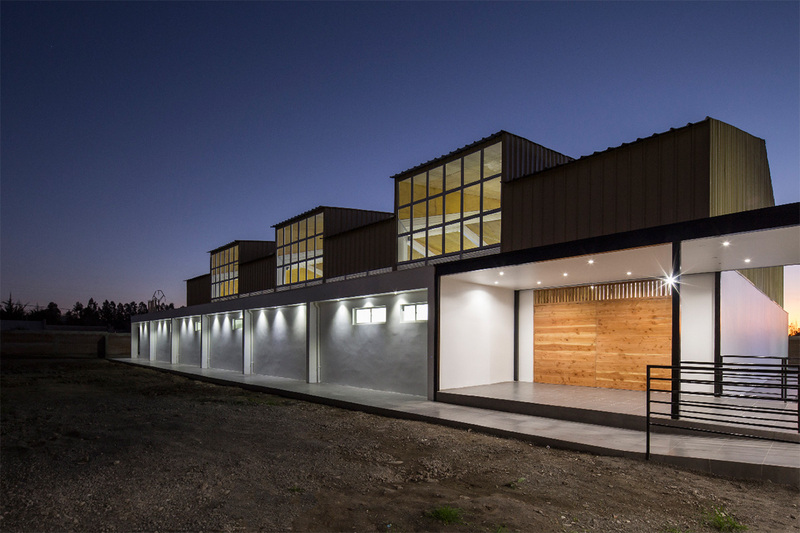 Los mandantes, la Corporación Municipal de Educación de Calera de Tango y el Municipio, nuevamente aunaron fuerzas para construir otro espacio que es parte de un master plan de infraestructura deportiva para la comuna. 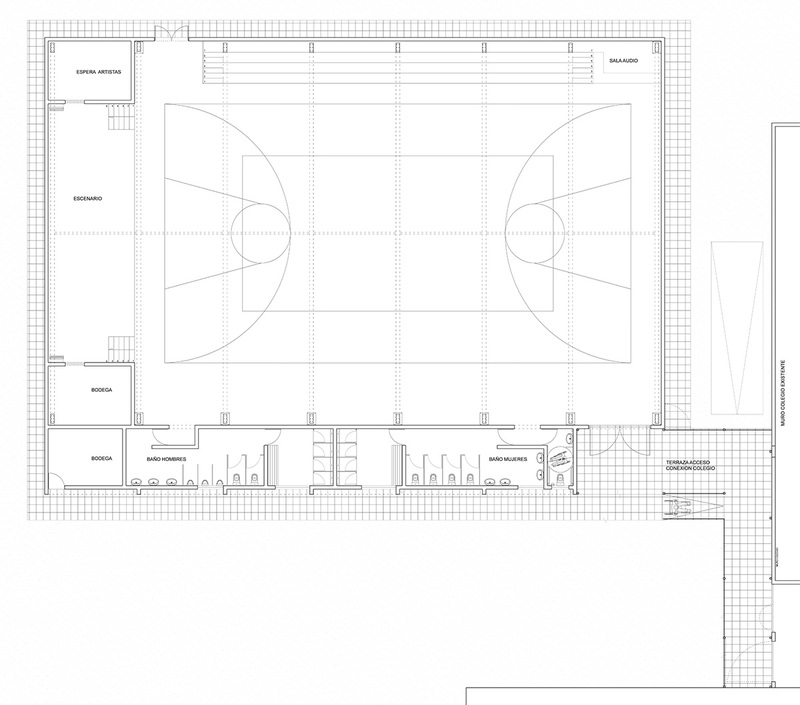 La propuesta fue mantener la línea del gimnasio anterior, utilizando marcos metálicos de sistema tubest se logró así una gran limpieza espacial. 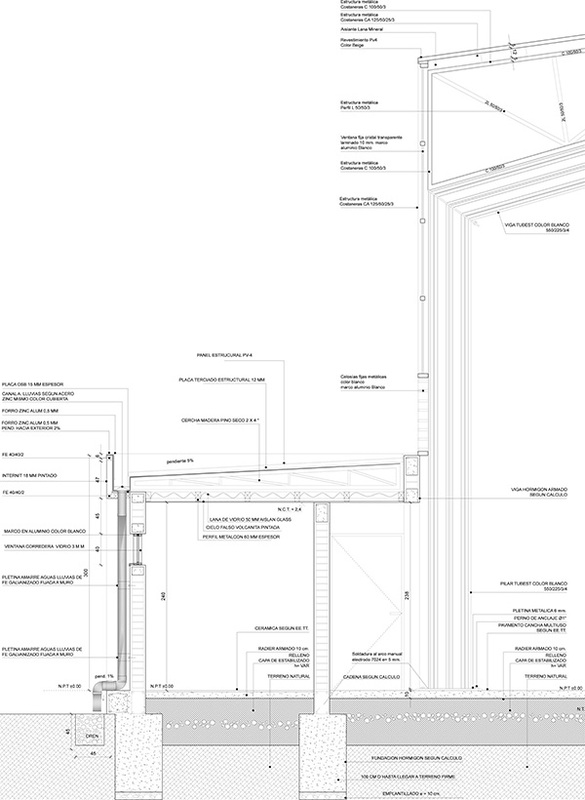 La estructura de acero soporta la gran luz del recinto, los cuales a diferencia del pabellón anterior, quedan dentro de los limites existentes del edificio. 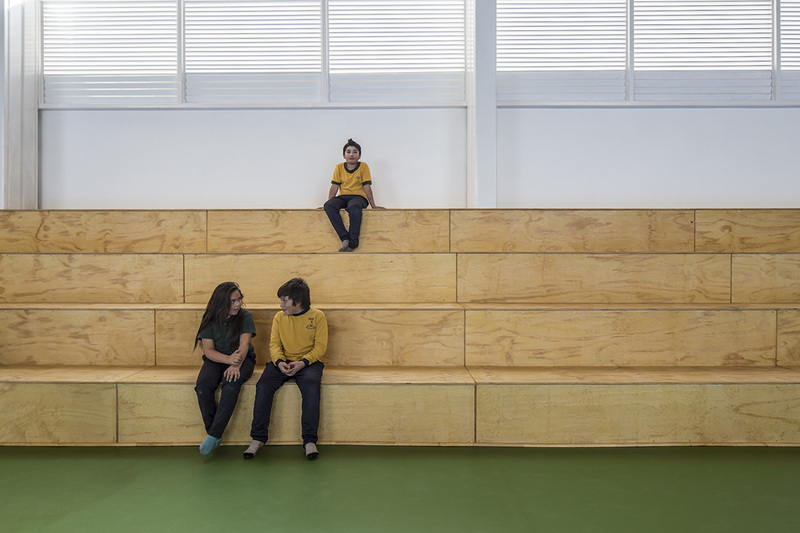 Una de las ideas principales fue concentrase en lograr una unión limpia entre el colegio existente y el nuevo gimnasio, esto fue mediante una marquesina de estructura metalica de vigas doble T a la vista, evocando un lenguaje moderno y manteniendo así una sola altura entre ambos edificios. Una vez más basándonos en nuestra experiencia en Japón es que en el interior se priorizó la simpleza de los materiales, se usó como línea principal la mezcla entre lo blanco y la madera con el fin de resaltar el juego de vanos con la techumbre y la multicancha. 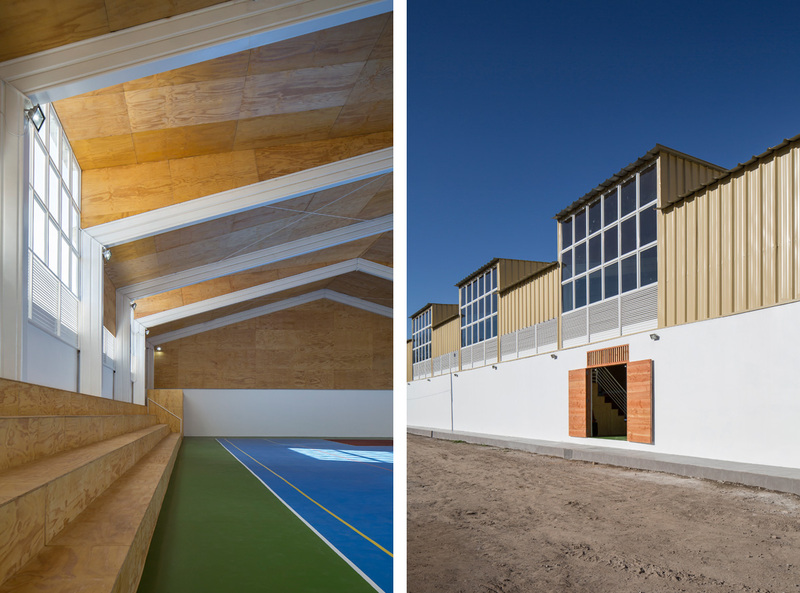 This is project is part of Calera de Tango’s Municipal sports infrastructure for the Lonquén Public School. 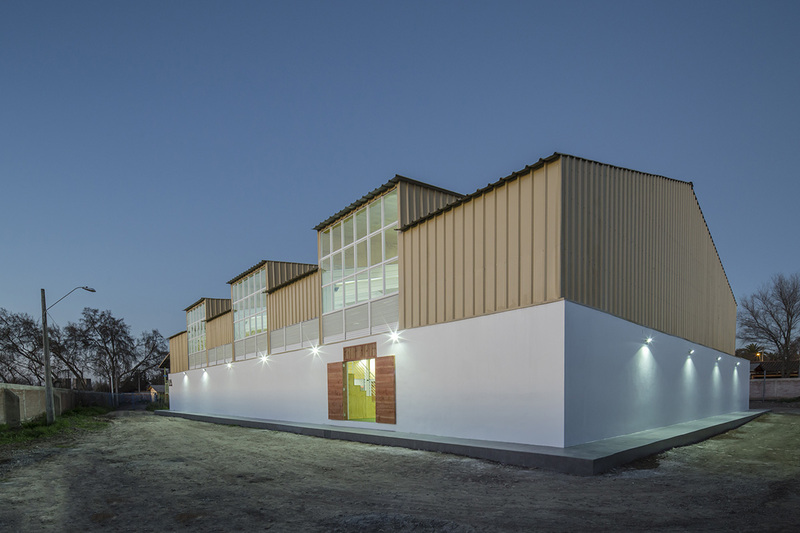 The client, Calera de Tango’s Municipal Education Corporation along with the local municipal government, strived to build yet another sports hall as part of their master plan for providing adequate sports infrastructure for the community. 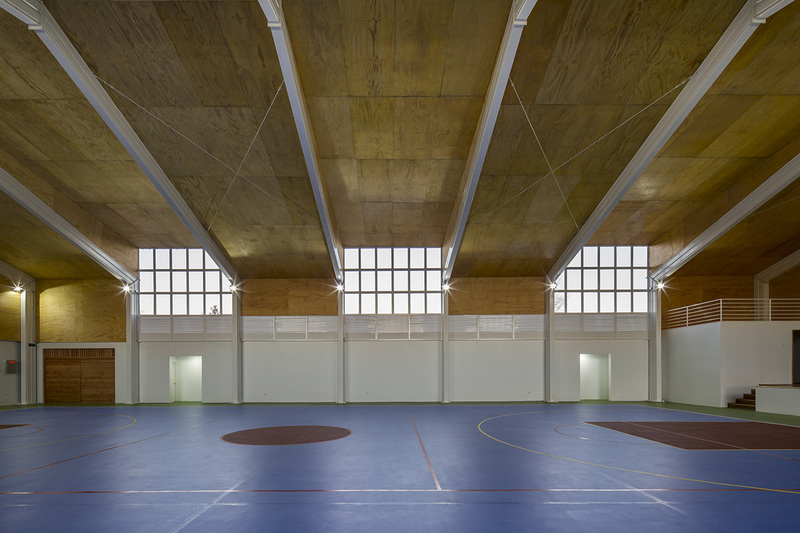 The proposal tries to keep maintain the aesthetic lines of the previous municipal gymnasium, by repeating the use of Tubest metal frames. 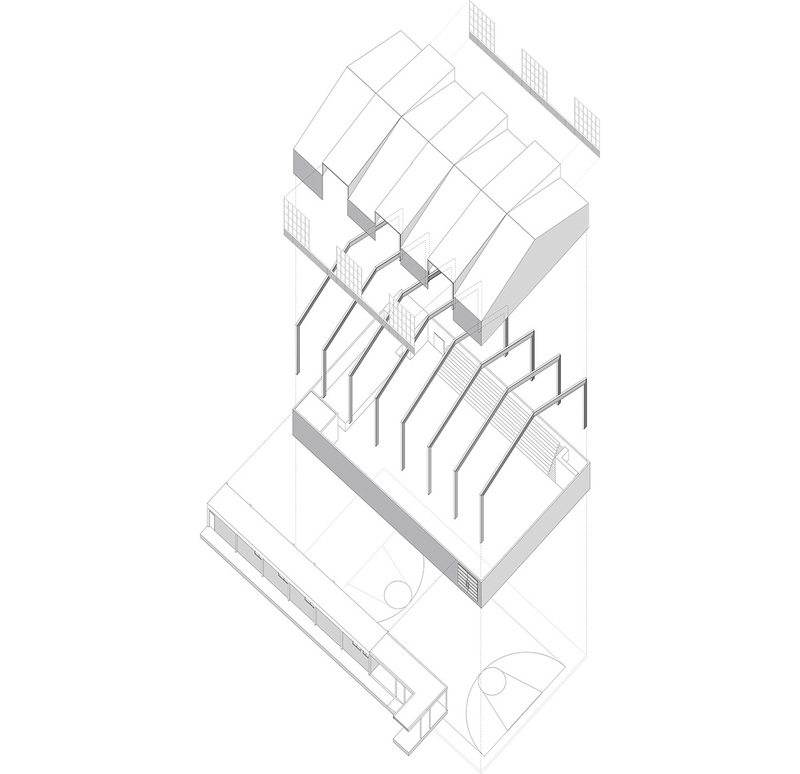 This allowed us to think up a clean integrated space of great proportions. 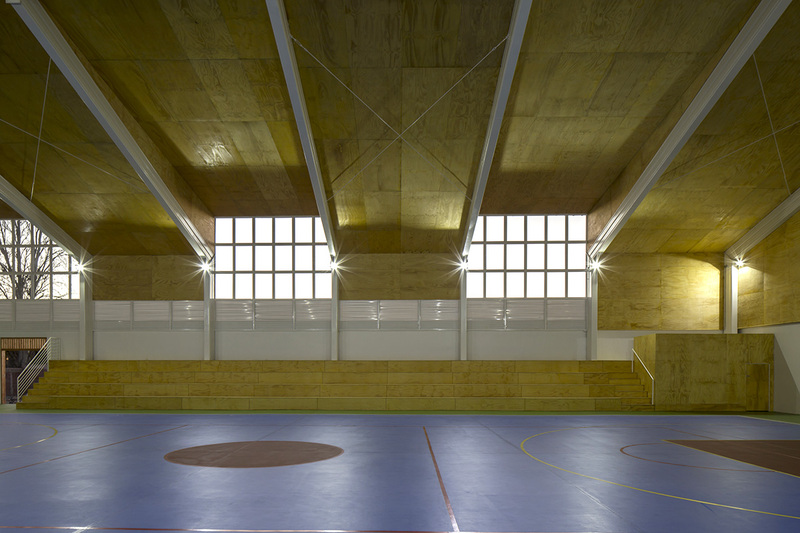 Unlike the previous gymnasium, the structure remains inside the walls, creating an independent exterior skin. 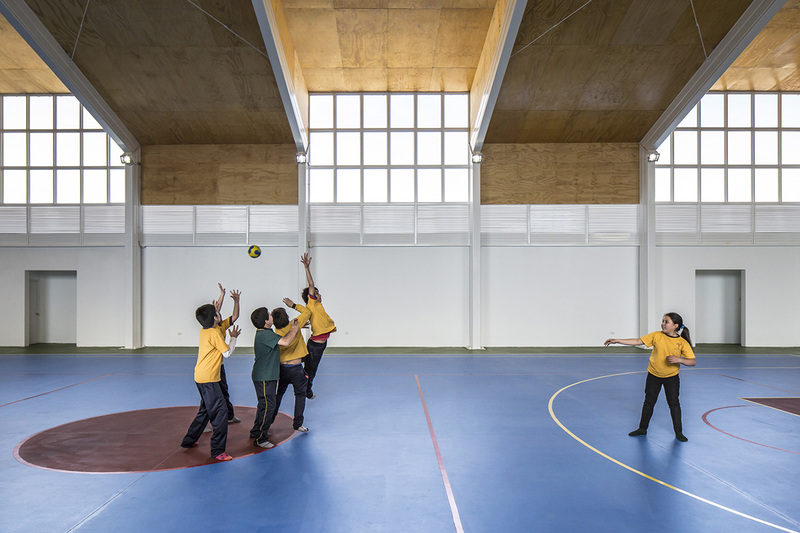 One of the main ideas was to achieve a clean connection between the existing school and the new sports hall. 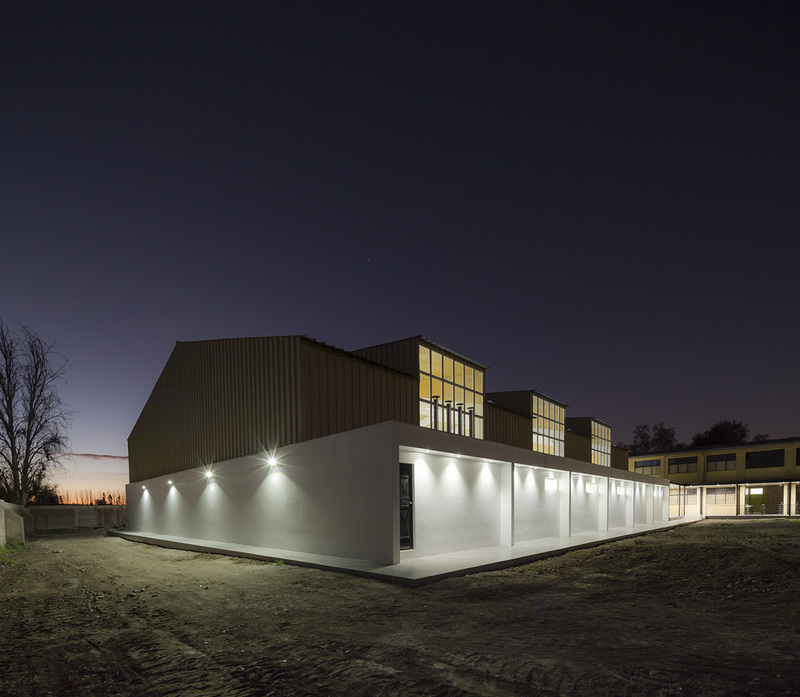 The connecting element took the form of this was by a steel structure marquee made up of visible steel H-beams, which evokes the modernist ideals and acts as an homologizing element between the different clearance heights of the two buildings. Once again, based on our experiences in Japan, we prioritize simplicity in the use of interior materials. 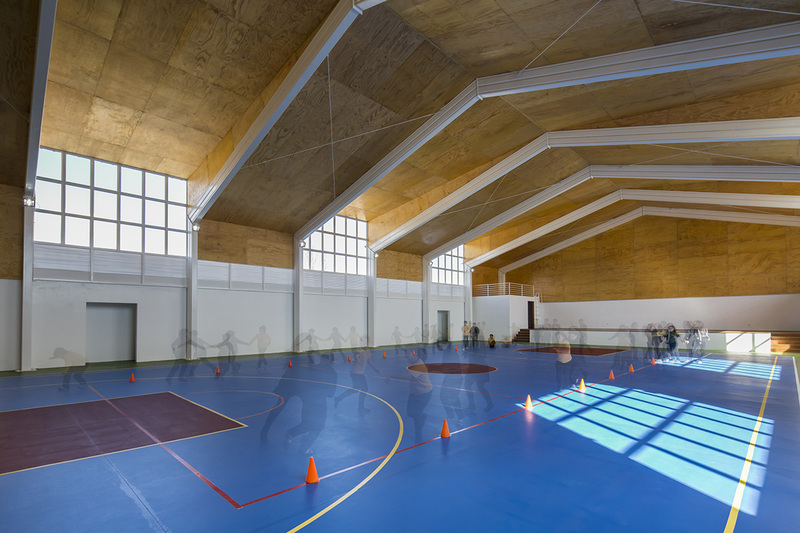 The mixture of white and wood highlights the rhythms of light coming in from the outside to form a balance of warm and light hues that enhance the interplay of dimensions and textures within the hall. Through games and sports these are joined within the expanse, and become themselves the expressions of both the public and the intimate.